LONDON/NEW YORK (Reuters) - U.S. stocks were set to close 2013 at record levels, with world equity markets close to six-year peaks on Tuesday, while benchmark bond yields were poised for their first annual rise since 2009 in anticipation of stronger global growth in 2014. Ultra-easy monetary policies and an improving economic outlook led to a stellar year for stocks. Equity strategists see the gains continuing into 2014 as economic growth improves even as the Federal Reserve steadily trims its bond-buying stimulus. "Things still look pretty solid at the end of 2013, (and) 2014 will be a better year with less fiscal drag," said Gus Faucher, senior economist at PNC Financial Services in Pittsburgh. "The other thing is a better global economy. Exports will be better. Europe is coming out of recession. Growth in Asia is expected to re-accelerate." 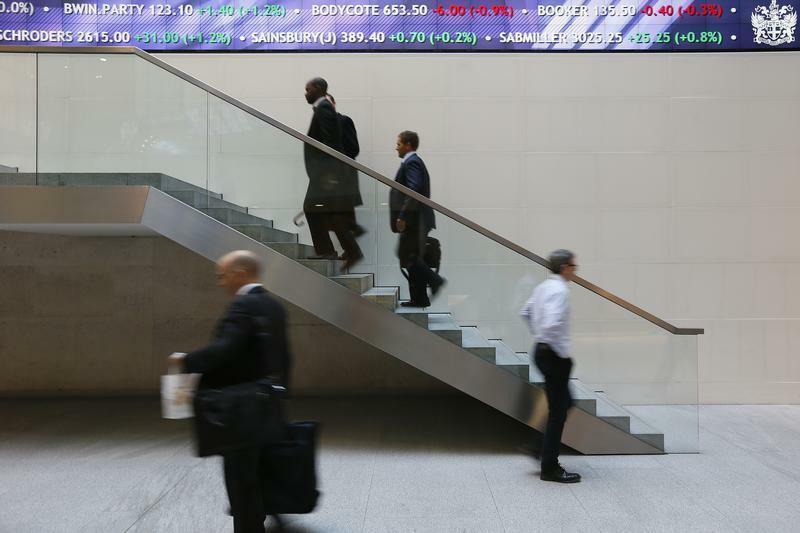 Wall Street was on track for its best year since 1997 with a 29 percent gain. More than 450 of the stocks in the S&P 500 are set to end the year higher, the most since S&P started collecting that data in 1980. Japan's Nikkei (.N225) ended up 56.7 percent and European shares (.FTEU3) gained 16 percent. By contrast, the Barclays U.S. Aggregate Index of investment grade bonds is on track for its worst year since 1994, as interest rates rose in anticipation of reduced Fed stimulus and higher-yielding stocks attracted more investment flows. Assets favored by investors in economic downturns took a beating in 2013, with falling prices driving top-rated U.S. and German bond yields near their highest levels in around two years and gold limping toward its worst annual performance in three decades, losing more than 27 percent. The yield on the U.S. 10-year Treasury note, which sets the standard for global borrowing costs, has risen to almost 3 percent from 1.75 percent at the start of the year, but it is seen rising to only 3.35 percent in 2014. The 10-year note was yielding 2.99 percent on Tuesday in quiet trading. The U.S. bond market closes one hour early, and although U.S. stocks will remain open for a regular session, volume was expected to be light. MSCI's all-country world equity index <.MIWD00000PUS> was up 0.18 percent at 408.16 on Tuesday, its highest since late 2007. It has gained 20 percent this year. The Dow Jones industrial average (.DJI) rose 30.87 points, or 0.19 percent, at 16,535.16. The Standard & Poor's 500 Index (^GSPC) was up 4.13 points, or 0.22 percent, at 1,845.20. The Nasdaq Composite Index (^IXIC) was up 13.85 points, or 0.33 percent, at 4,168.05. Emerging markets have been a noted exception to the rally in equities. MSCI's EM Index (.MSCIEF) fell 5 percent in 2013 on worries that cuts in global monetary stimulus could expose economic imbalances and as funds return to the rich world. Russian stocks (.IRTS) hit eight-day lows after two deadly attacks in less than 24 hours that raised security fears ahead of the Winter Olympics. The euro is set to end 2013 close to its highest level in two years against the dollar. But a Reuters poll shows it is expected to reverse its upward trend next year as the continued soft stance of the ECB contrasts with the Fed's. On Tuesday, the single currency inched down to $1.3780 still up more than 4 percent for the year. The dollar was lower against the yen at 104.94, but remained on track for its biggest annual gain against the yen in 34 years, with the Japanese currency having been bowled over by the Bank of Japan's money-printing. The easing of the euro zone crisis and signs of a pick-up in economic activity even in the bloc's weakest states have offered strong support to the euro and brought Italian and Spanish debt yields to just over half their crisis peaks.